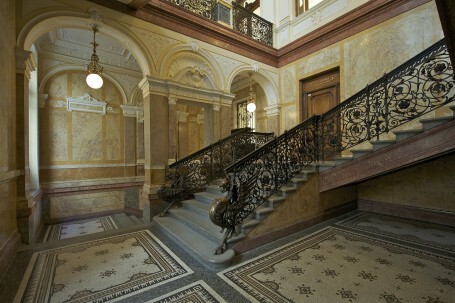 Prague, 10 March, 2016 – Flow East, the Anglo-Czech property developer and heritage campaigner, today announced that it has extend the deadline for submissions to the design competition for the missing statue on the “Císařské schodiště” (imperial staircase) of The Forum building at Wenceslas Square 19. Designs will now be accepted through 30 April due to high public interest. The winning designer will be awarded CZK 100,000 in addition to the complete coverage of all costs connected to the construction of the statue. Interested artists can come to see the space anytime during official opening hours 9:00am to 5:00pm and arrange a visiting at The Forum reception desk. Submissions should be sent to soutezVN@floweast.com by 30 April 2016. The winner will be chosen by a panel of Flow East members in June 2016.